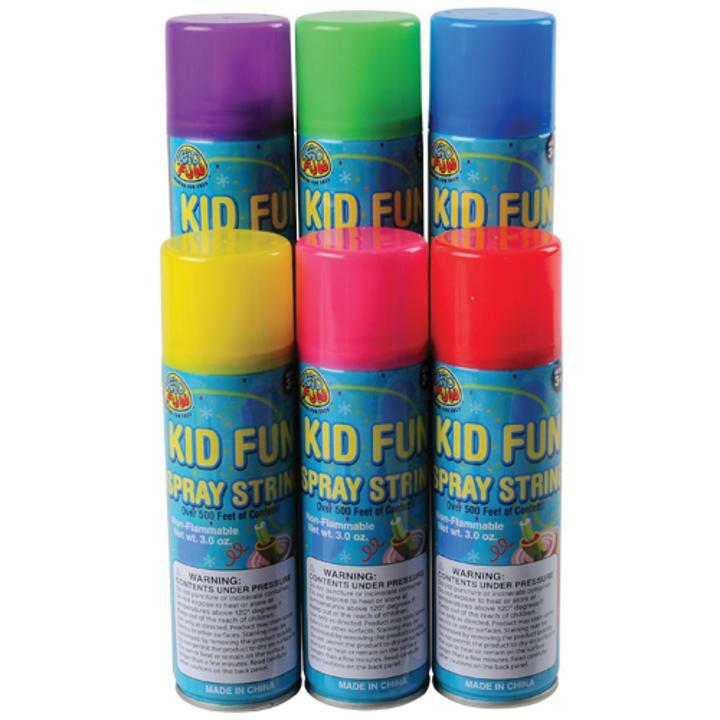 Cheap Kid Fun Spray Strings - 12 Ct. Liven up your celebration with this spray string. Spray string is not just for New Years, use these at birthdays, circus or carnival events, or any occasion when you want to have a good laugh. Looking for more laughs? With wide selection of jokes, gags and tricks you'll find what you need to play a prank on April Fool's day or any occasion requiring a laugh. Fill party favor loot bags with the classic joke toys and keep your guests laughing. L: 7.5 in. W: 6.75 in. H: 5.97 in.